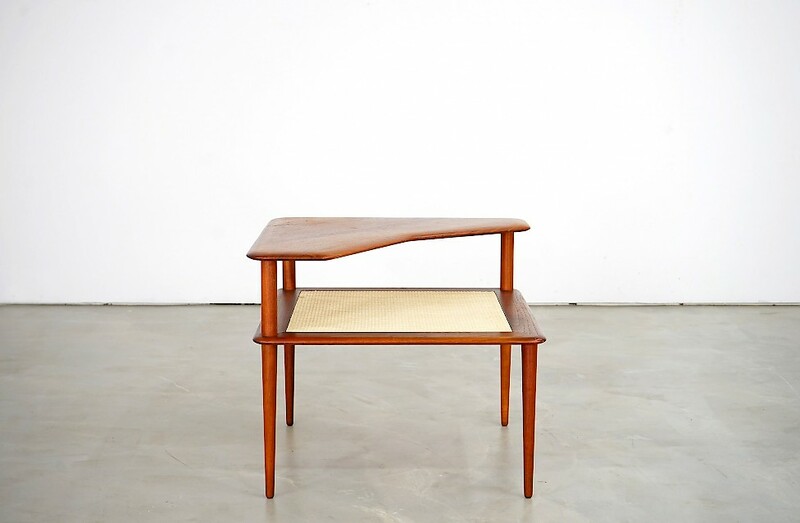 The two-story Side Table of the Minerva Series was designed by Peter Hvidt and Orla Mølgaard Nielsen and manufactured by France & Daverkosen in the 1960s. It was labeled by the manufacturer on the bottom. The elegantly designed piece is made of teak wood and wickerwork. It is in perfect condition.